If you've ever tried to look through a filtered lens or a dirty window, you know how hard it is to view a clear, undistorted image. 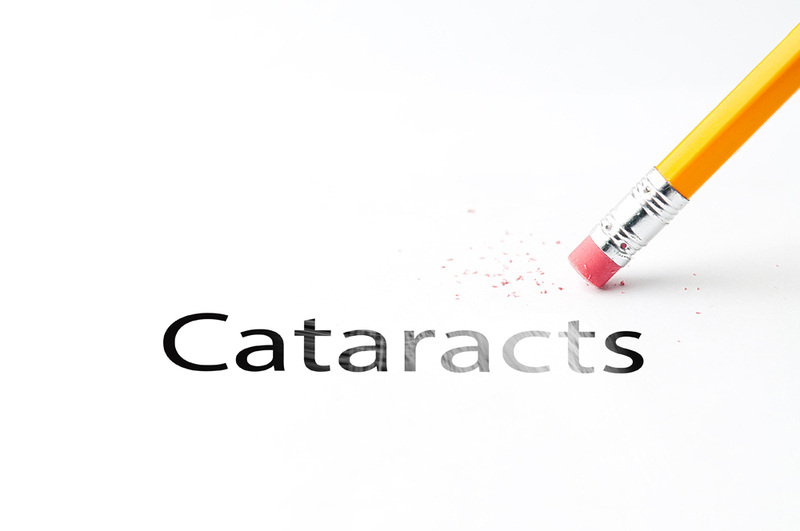 Cataracts present a similar obstacle to your visual acuity by putting up a physical barrier between incoming light and the parts of the that process and interpret that light. Here at Warm Springs Optometric Group, our Fremont optometrists can detect cataracts early in their development, adjust your vision prescription to compensate, recommend healthy changes to discourage cataract growth, and even co-manage procedures to remove an advanced cataract. Cataracts are an accumulation of the same proteins you've always had in the lens of your eye. Normally, these proteins are spaced so that incoming light can right right through them with no issues, giving your retina optimal information for interpreting images. But if that perfect spacing is spoiled, the proteins start to form a solid, milky-white area that cannot pass light through the lens efficiently. This is what we call a cataract. While some cataracts form in association with risk factors such as diabetes, intense UV exposure, smoking or steroid use, the most common variety are just a side effect of aging and ordinary exposure to daylight. While cataracts are a leading cause of blindness around the globe, they are actually highly treatable, even if the cataract development itself cannot be reversed by current medical techniques. Early diagnosis is one key to helping you cope, which is why you should make sure you're getting regular eye exams here at Warm Springs Optometric Group. Our eye doctors use a combination of standard vision testing and slit lamp testing (a method of examining the front of the eye with an illuminated instrument) to determine whether you have a cataract in the making. We can then recommend the appropriate approach to your cataract treatment. Mild cataracts can require nothing more than regular vision testing and monitoring, along with smart practices such as smoking cessation and UV-blocking eyewear to minimize further progress. If your eyesight starts to suffer, we can prescribe corrective lenses. If the cataract impairs vision beyond our ability to compensate, our eye doctors may recommend surgery to replace the cataract with an artificial lens. We can co-manage this process to ensure best results. Don't fear cataracts -- fight back against them, with the aid of Warm Springs Optometric Group. Call (510) 490-0287 to schedule an exam with our eye doctors!